Lightweight wrist wrap with palmar stay to support carpal tunnel and wrist injuries. Are you experiencing lingering or sharp pain? No matter what, wrist pain can distract you from your day-to-day activities and hinder your work. Give your wrist some relief with the DonJoy Advantage Stabilizing Elastic Wrist. Delivering moderate wrist support and compression for Carpal Tunnel, wrist sprains and strains, tendonitis or instabilities, the Stabilizing Elastic Wrist has a removable and padded palmar stay so your wrist gets the appropriate support and stabilization you need as you type, lift or partake in daily activities in comfort. 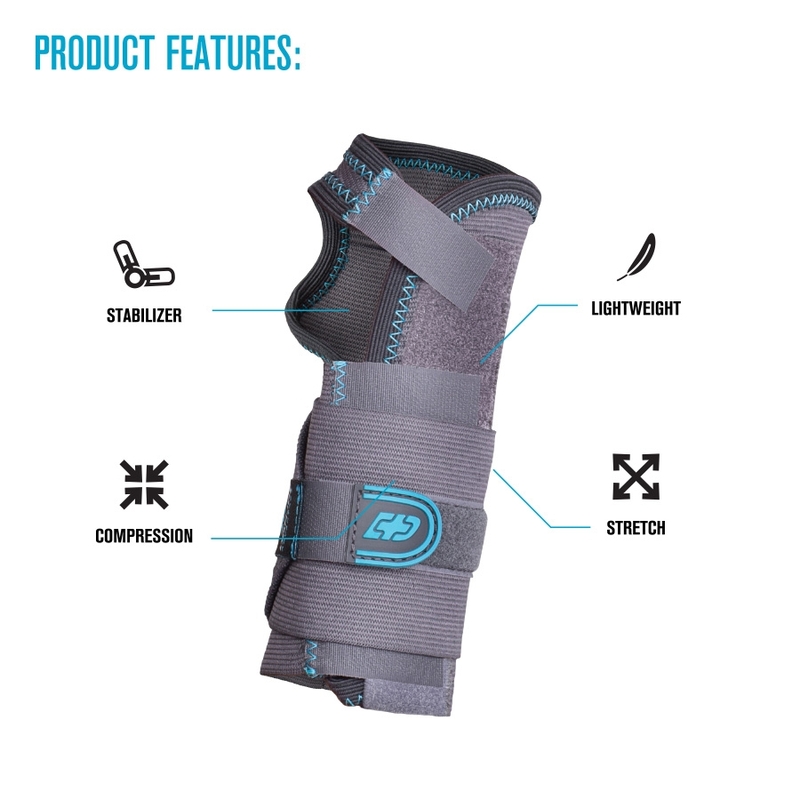 The DonJoy Advantage Stabilizing Elastic Wrist delivers moderate support and compression for Carpal Tunnel, mild wrist sprains and strains, tendonitis or instabilities. This lightweight, compressive elastic wrap offers a contoured, padded and removable palmar stay for a comfortable and anatomical fit. The wrap-around style allows for easy on/off application and provides the wrist stability and support during day-to-day activities. The Stabilizing Elastic Wrist brace helps to reduce swelling and pain during recovery and protects the wrist from re-injury or discomfort. Open the brace and place your palm onto the palm stay. Wrap and close the three wrist straps, then the top strap between your thumb and forefinger. Finally wrap the circumferential strap around your wrist for additional compression. Adjust as needed. To clean the brace, we recommend you remove the palm stay, hand wash in warm water with mild soap, rinse thoroughly and let it air dry. Inches 4.5 - 6.5" 6.5 - 8.5" 8.5 - 9.5"
Open the brace and place your palm onto the palm stay. Wrap and close the three wrist straps, then the top strap between your thumb and finger. Finally wrap the circumferential strap around your wrist for additional compression. Adjust as needed.